The Friday Jr. edition of MRM’s Daily Bite includes news from Patina Restaurant Group, Garbanzo Mediterranean Fresh and Eco-Products, Goya, Naf Naf and VenueLytics. 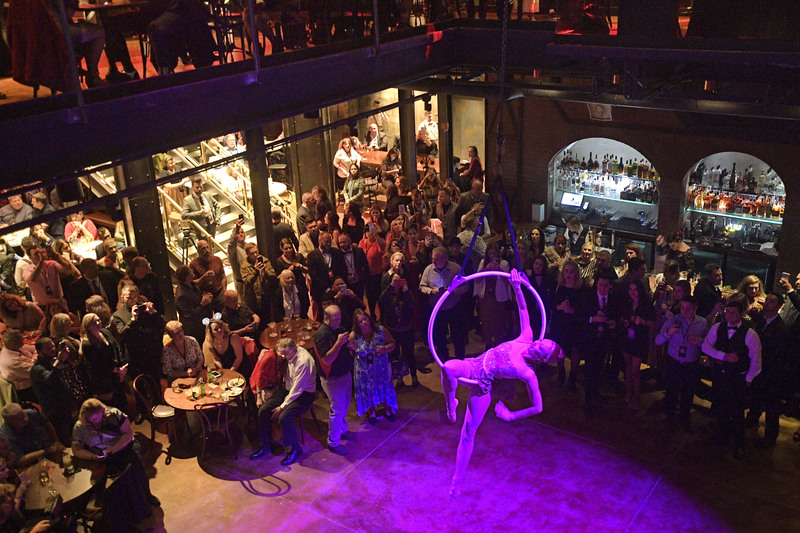 The Edison at Disney Springs rang in 2018 with a gala, grand opening party. The “Industrial Gothic”- themed restaurant and entertainment venue from Patina Restaurant Group (PRG) was designed to be a playful dining experience for families, while at night, the space transforms into a destination focused on craft cocktails, contemporary American fare and entertainment unique to Central Florida. The Edison creates a completely unique combination of style, art and design with great food, cocktails and world-class entertainment. A fully immersive experience, The Edison features multiple themed areas to explore, such as the Lab performance space, The Ember Parlour, Telegraph Lounge, The Patent Office, The Tesla Lounge, The Radio Room, and the Waterfront Patio. The Edison’s beverage lineup focuses on artfully crafted cocktails, interesting beers and wines, and house-made punches that serve from two to 10 guests. The Edison Signature Series includes cocktails such as The Wonderlust(Pernod Absinthe, Nolet’s Gin, Crème de Violette, pineapple syrup, lemon), Lady Marmalade (Corsair Absinthe, Hangar One, Noilly Prat vermouth, Giffard Ginger, verjus, pomegranate), The Crimson Vesper (Absolut Elyx, Lilet Rouge, Plymouth Sloe Gin, orange) and The Edison (Woodford Reserve, Belle de Brillet Pear Liqueur, lemon). PRG opened a new Italian restaurant located at the reimagined Disney Springs at Walt Disney World Resort — Maria & Enzo’s Ristorante. An intimate Italian trattoria set in the once-abandoned Disney Springs airline terminal from the 1930s, now transformed into a restaurant. The dining room is open and airy, featuring 50-foot ceilings with views of Lake Buena Vista. The restaurant interiors showcase artifacts that recall air travel of the time, with brightly illustrated pictographs, reimagined air terminal boarding gates and a First Class Lounge where randomly selected guests are upgraded upon arrival. The menu, created by Michelin star-rated Chef Theo Schoenegger, features a variety of handmade pastas including Busiate con Granchio (spiral pasta with crab), Rigatoni all Norma (eggplant, chile, tomato, ricotta salata) and ‘Ncasciata al Forno (Sicilian baked pasta) – served tableside. Other highlights include Braciola di Maiale (Berkshire pork chop, plum mostarda), Nodino di Vitello(grilled veal chop) and Tonno (grilled ahi tuna steak, pistachio pesto) all served with rosemary potatoes and tempura fried vegetables. The spectacular wine list of more than 100 bottles is – lovingly — primarily Italian. 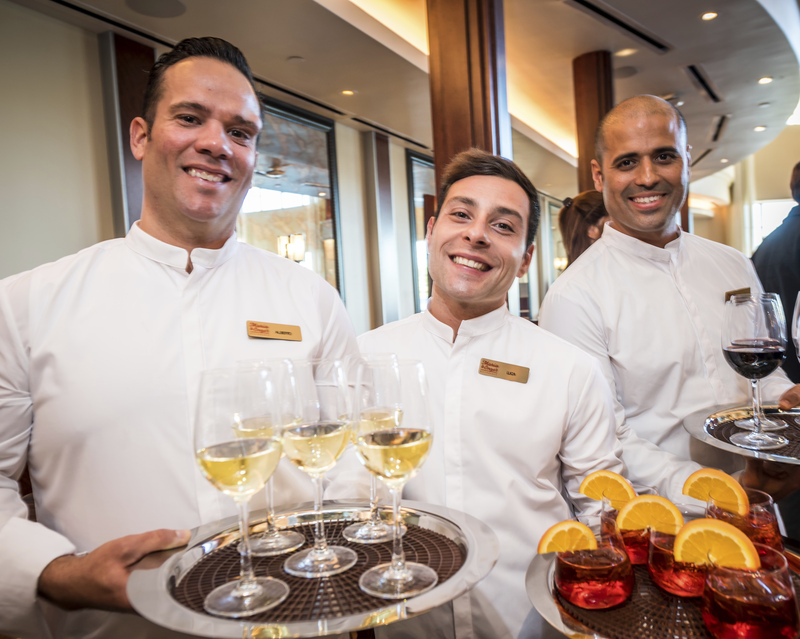 The restaurant is open from 11:30 a.m. to 12 midnight daily, with weekend brunch coming soon. Patina Restaurant Group is a bicoastal boutique company. In New York, its portfolio features Lincoln Ristorante, STATE Grill and Bar at the Empire State Building, Stella 34 Trattoria at Macy’s Herald Square, The Sea Grill at Rockefeller Center, Brasserie 8 ½, The Grand Tier Restaurant at the Metropolitan Opera, La Fonda del Sol at Grand Central, Yellow Magnolia Café at Brooklyn Botanic Garden and The Rink at Rockefeller Center. Other East Coast properties include Tutto Italia Ristorante and Via Napoli at the Epcot World Showcase in Lake Buena Vista, Fla, and Morimoto Asia Orlando at Disney Springs. Garbanzo Mediterranean Fresh partnered with Eco-Products to offer dinnerware that does double duty: helping guests and the environment at the same time. Guests can eat from the plate while dining in,or use it as a takeout container for their meal at home. Better yet: It’s friendlier to the environment. The plates are made from sugarcane – a 100 percent renewable resource – and the custom to-go lids are made from 100 percent post-consumer recycled plastic. The plate is durable, grease-resistant, freezer- and microwave-safe, and meets ASTM’s high standards for compostability. 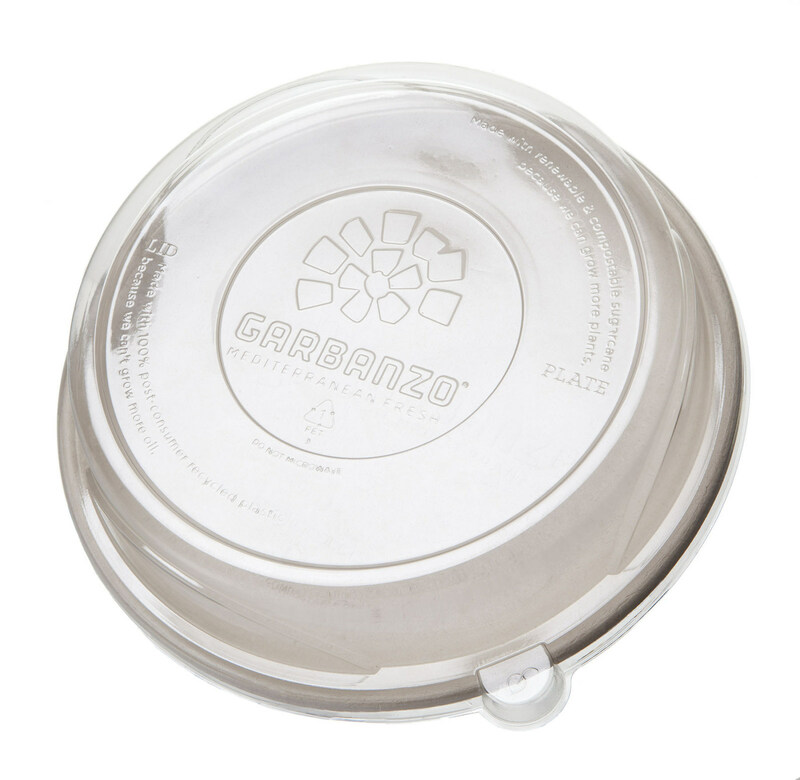 The nine-inch plate comes with a special lid custom-designed by Eco-Products for take-out meals. The lid is made of 100 percent post-consumer recycled plastic, meaning that water bottles and other plastics that could have gone to the landfill are now being given a new life. Goya Foods will offer five $20,000 nationwide Culinary Arts and Food Science Scholarships, granted annually, to five students entering their freshman year of college with an undergraduate degree in culinary arts and/or a food science. One of the five scholarships will go to a student enrolled in the Culinary Arts program at County Prep High School in Jersey City, New Jersey. For more information and to apply, click here. Applications are due no later than February 15. On January 17, Naf Naf is launching its Naf Perks app, which can be easily accessed through the iPhone and Android app stores. To celebrate the launch, Naf Naf is offering guests a free entrée when they download the app and sign up (free entrée is available for redemption within 14 days after signing up for Naf Perks). 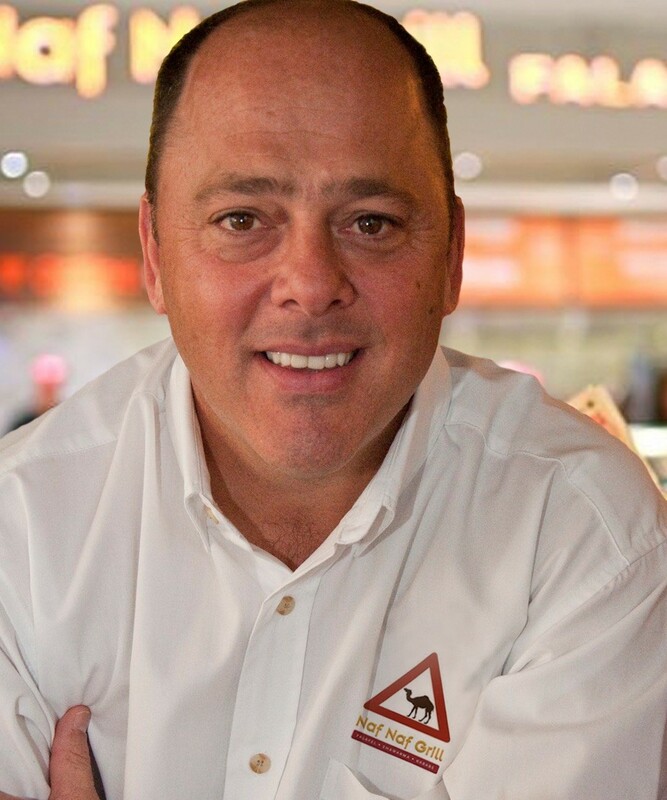 Naf Perks offers restaurant goers the chance to earn and redeem points for free food, order ahead, and access to special offers and exclusive Naf News. Members of Naf Perks will earn one point for every one dollar spent at the restaurant. Once they reach 100 points, guests receive $10 in rewards which can be used towards a free meal, baklava, a drink, or even catering. By inviting friends and family to sign up for Naf Perks, guests can earn an additional 10 bonus points and new users will be awarded with 20 points when they sign up on Facebook. The Naf Perks app also allows customers to order in advance for easy store pick up. VenueLytics announced VenueLytics VL SMB. The new platform enables independent hospitality businesses such restaurants, hotels, bars, nightclubs, casinos, and more, to add automated revenue boosting services. Reservation Management: Manage table/bottle service requests, floor maps, and guest lists in real-time. Private Event Management: Manage booking for corporate events, private parties, etc. Food and Drink Services: In-Venue mobile order and pickup services. Ticketing: Real-Time online and offline ticketing for any event. Engagement and Marketing: Promotion and customer engagement across social media and web. Mobile Pay: Instant mobile pay for services. Real-Time Analytics: Predictive analytics for enhanced customer service. Games, Tournaments: Tournament details, game wait-time, etc. Deals and Promotions: Offer deals and promotions across channels. Internal Communication: Real-time alerts and notifications.